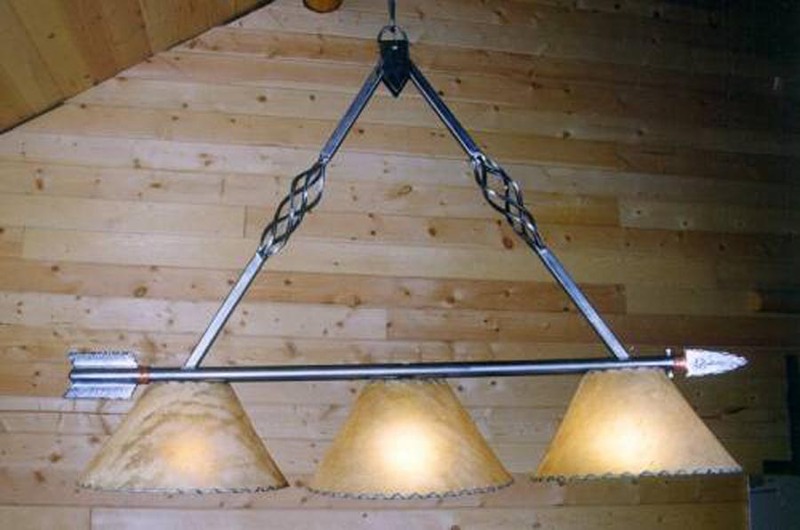 As Shown: Rust patina finish with silver mica shades. 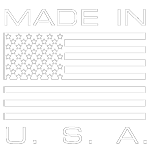 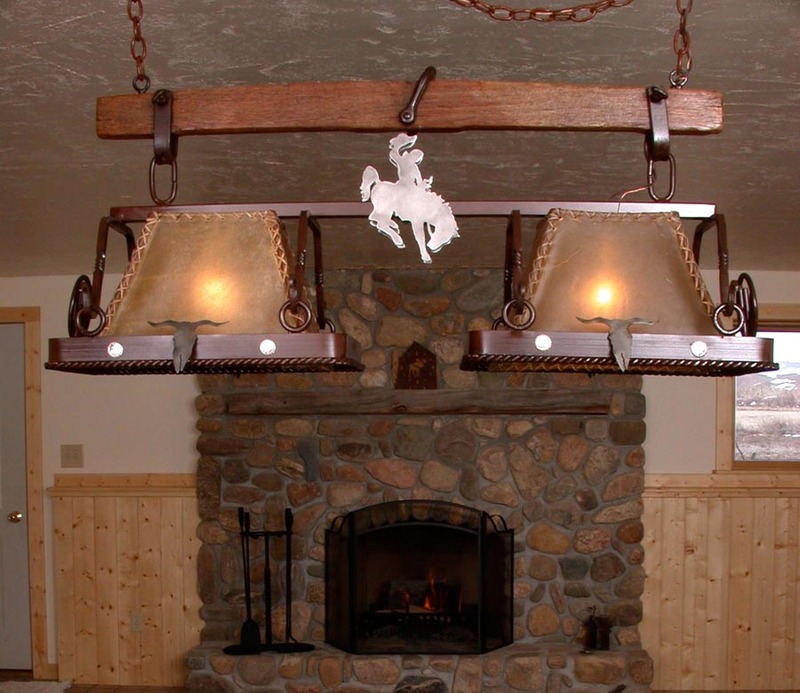 As Shown: Natural iron black finish with three 15″ rawhide shades. 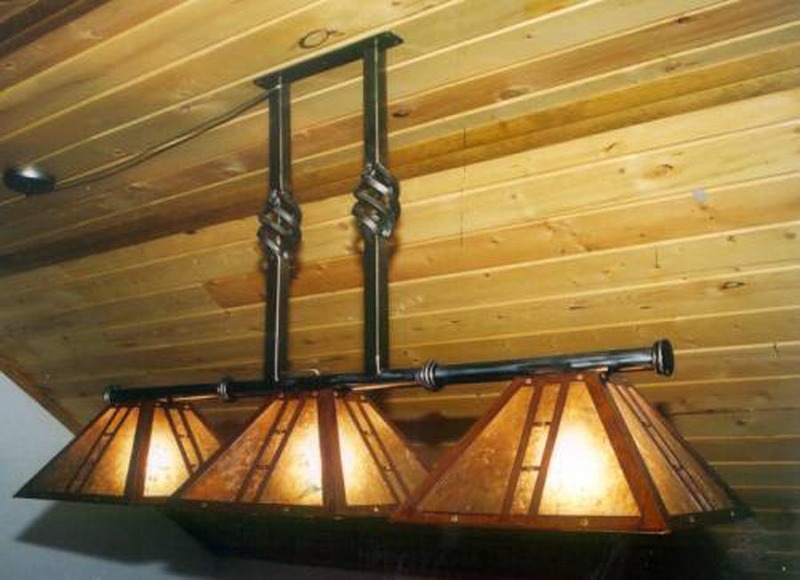 As Shown: Rust patina with four 15″ shades. 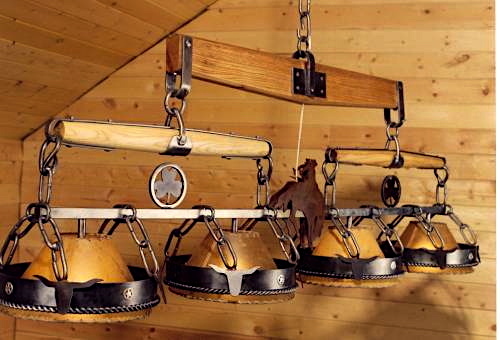 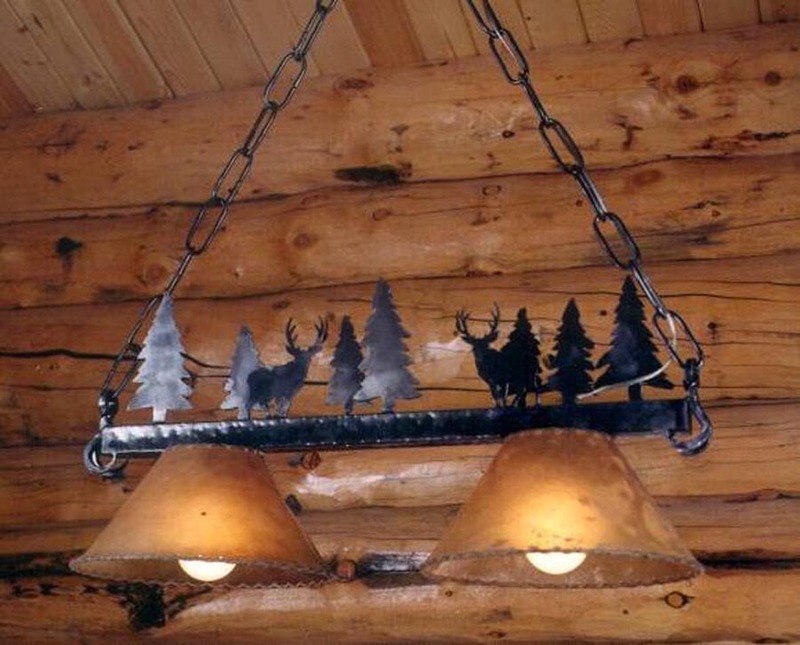 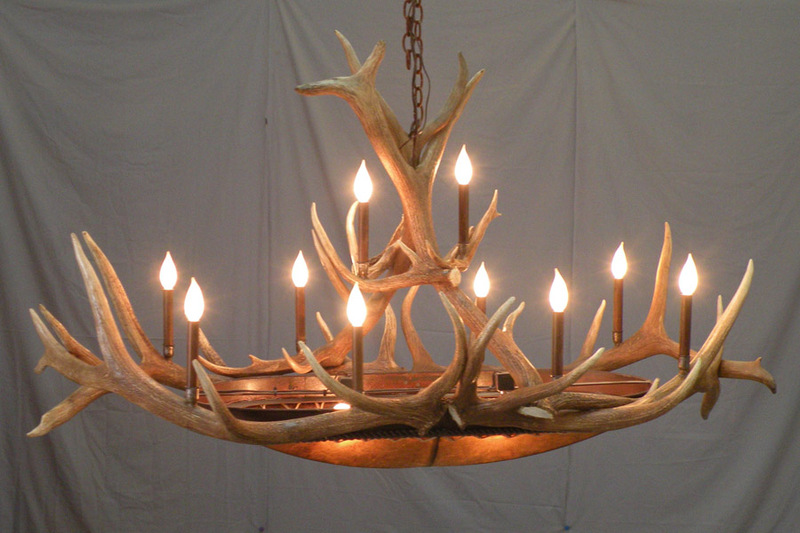 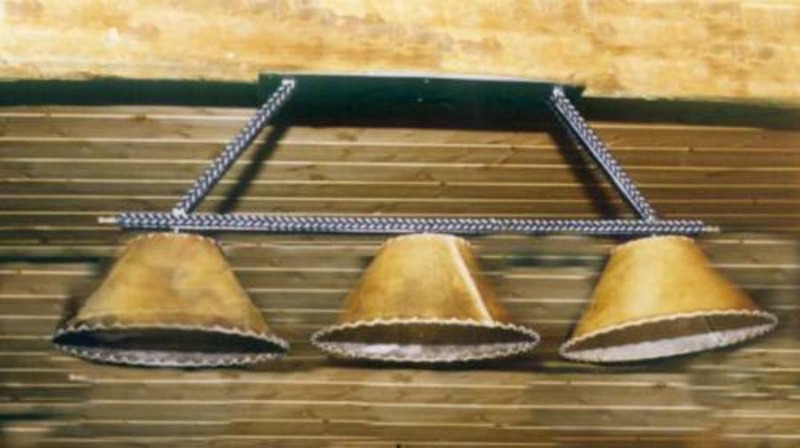 As Shown: Natural iron, Douglas fir, authentic rustic handmade hardware with four rawhide lampshades. 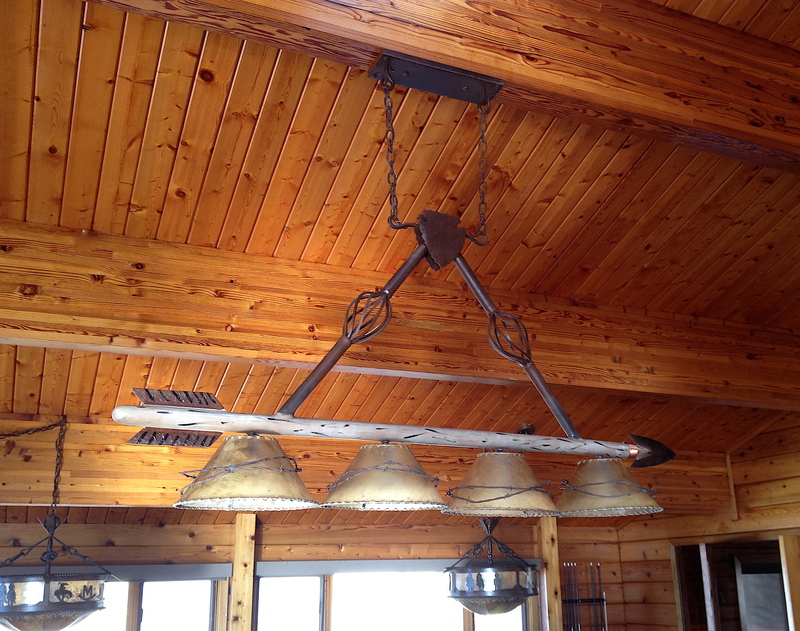 As Shown: Rust patina with oval rawhide dome. 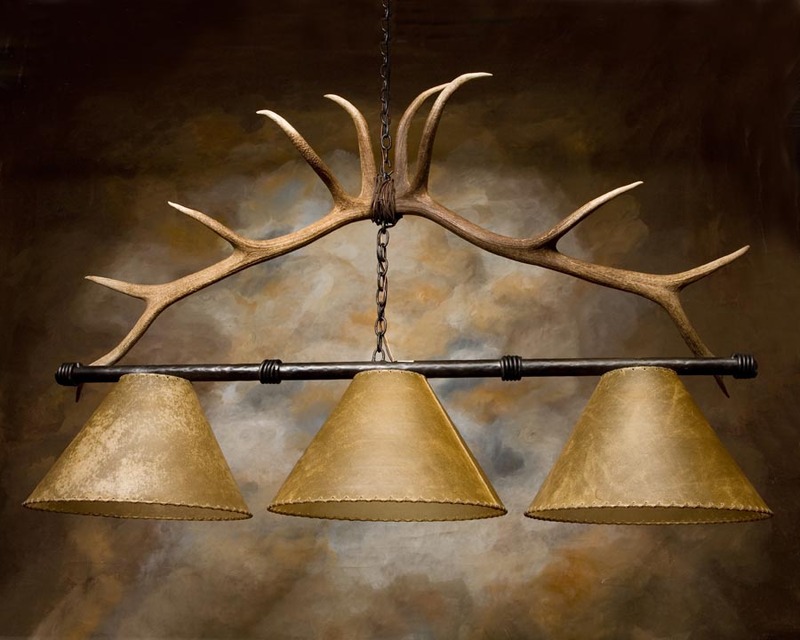 As Shown: Natural iron finish with hexagon mica or rawhide shades. 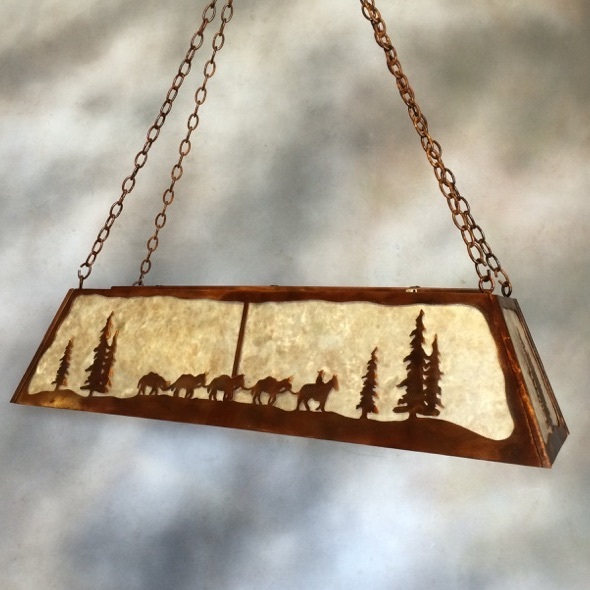 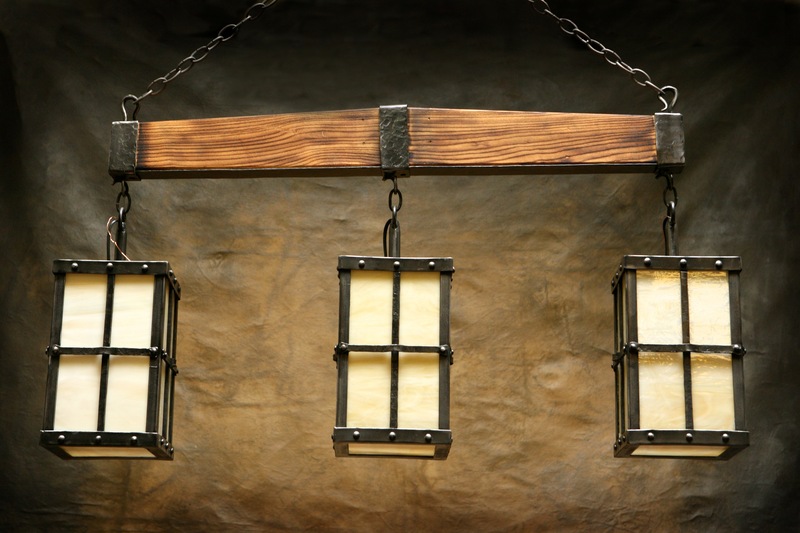 As Shown: Natural iron finish; milky art glass in lanterns. 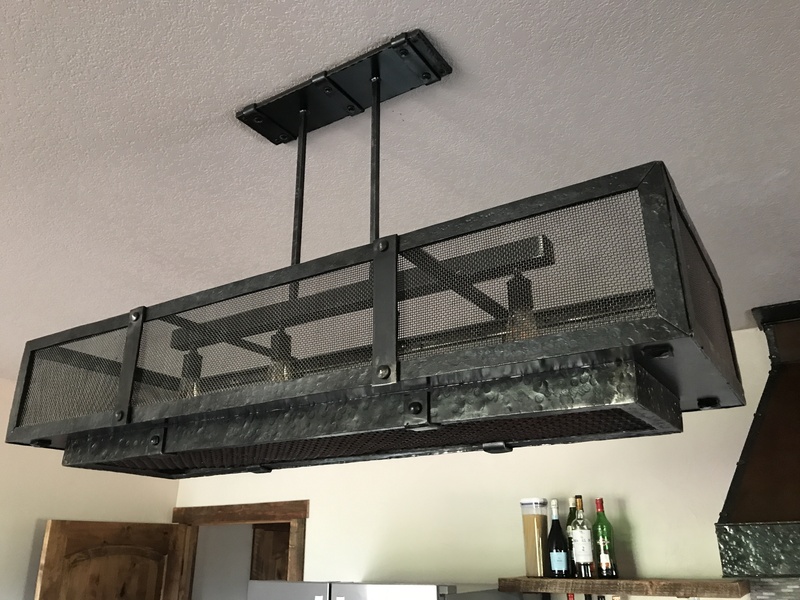 As Shown: Natural iron black finish with mesh. 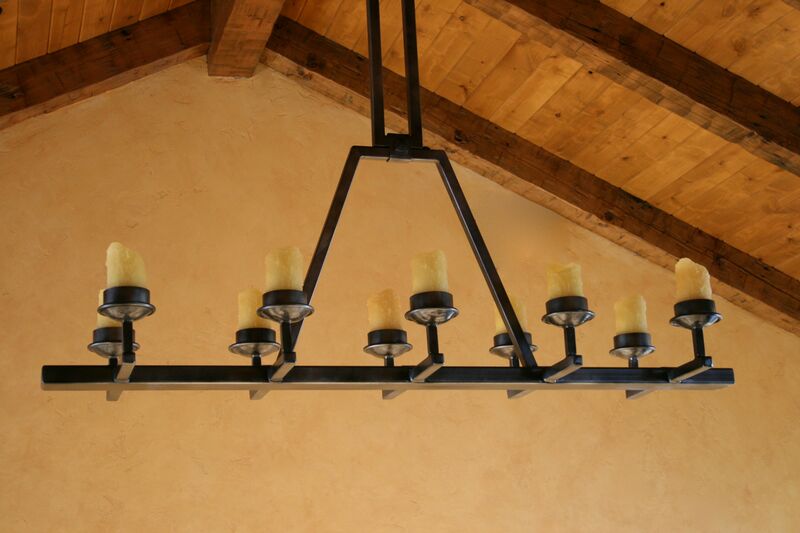 As Shown: Natural iron black finish with beeswax ivory candle sleeves. 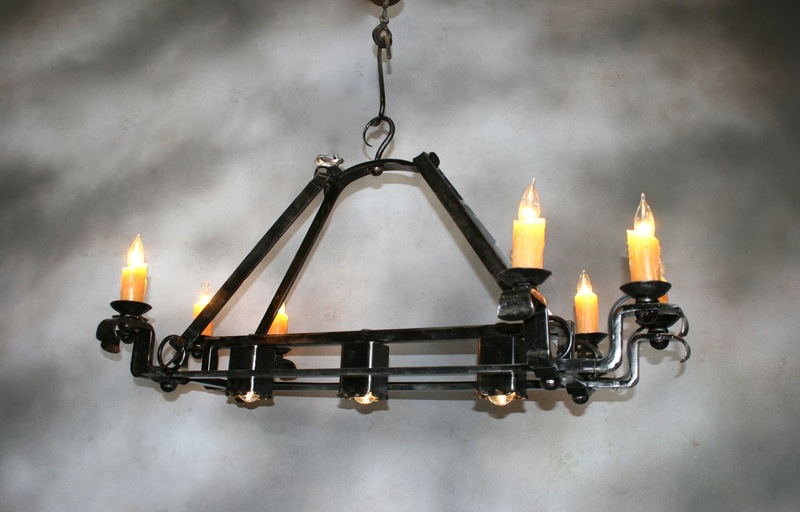 As Shown: Distressed natural iron finish with two rawhide shades. 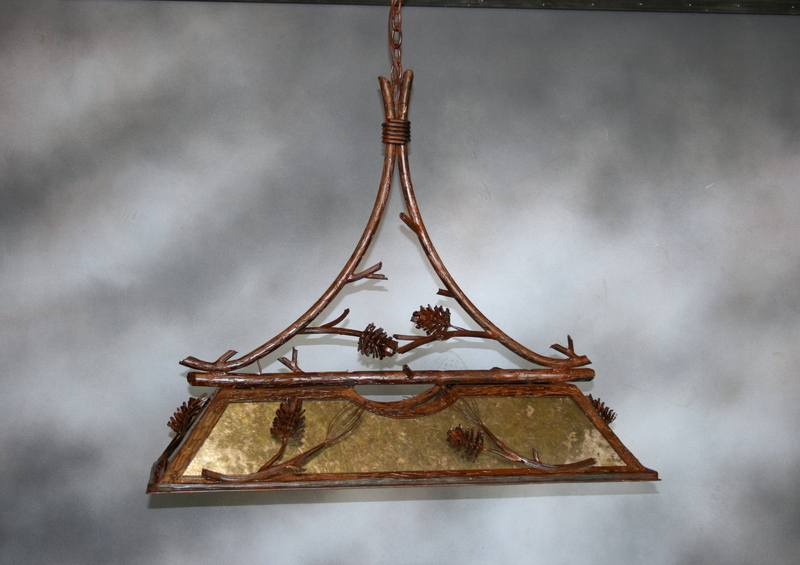 As Shown: Natural iron distressed frame with three shades rust patina finish with silver mica shades. 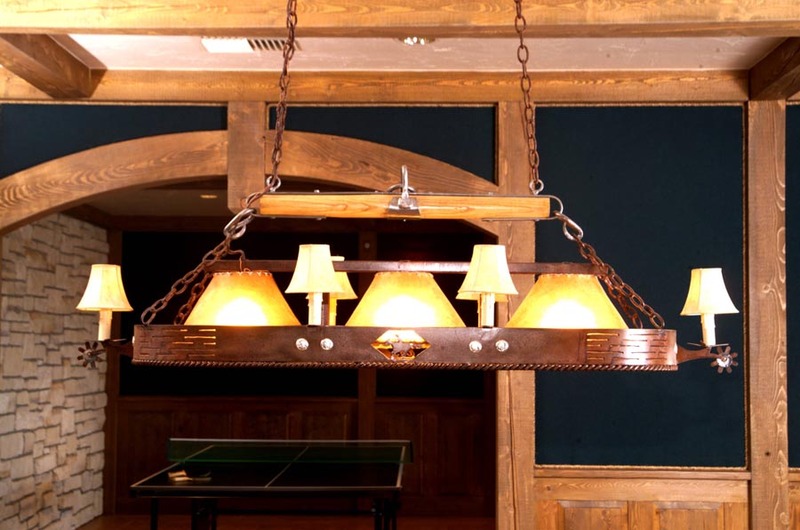 As Shown: Rust patina finish with two rawhide shades. 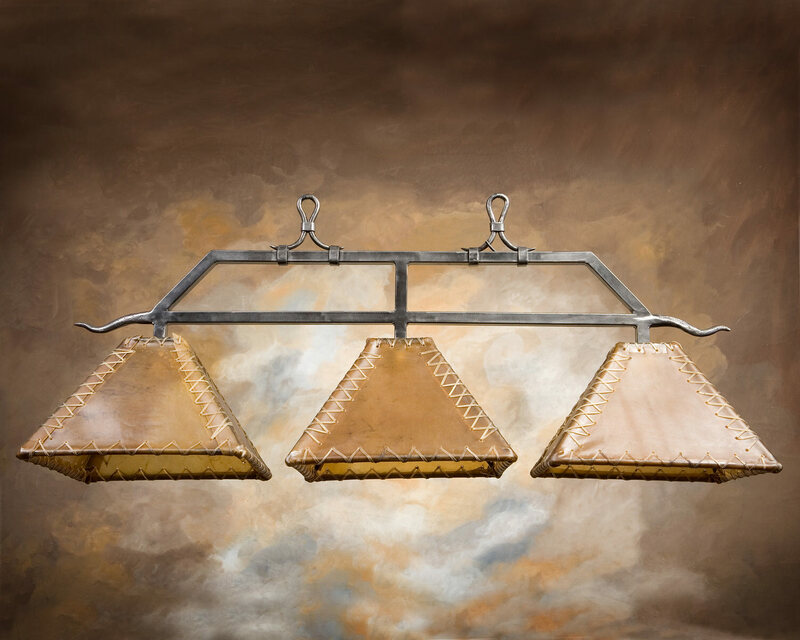 As Shown: Rust patina finish with three square hand-laced rawhide shades. 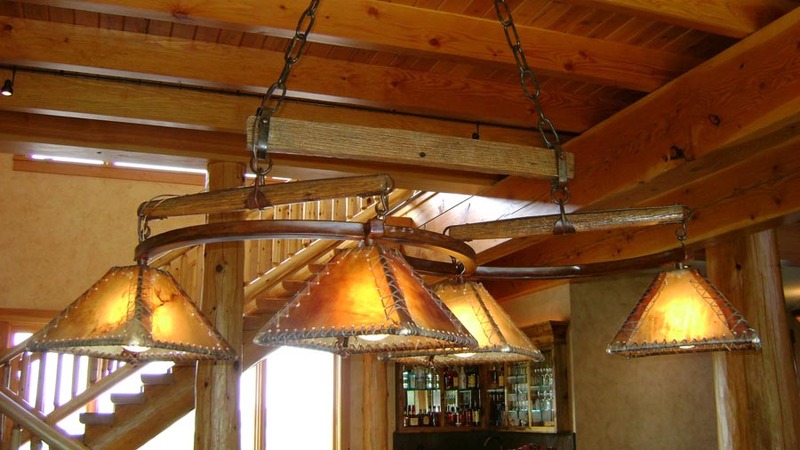 As Shown: Rust patina finish with four 18″ square hand-laced rawhide shades. 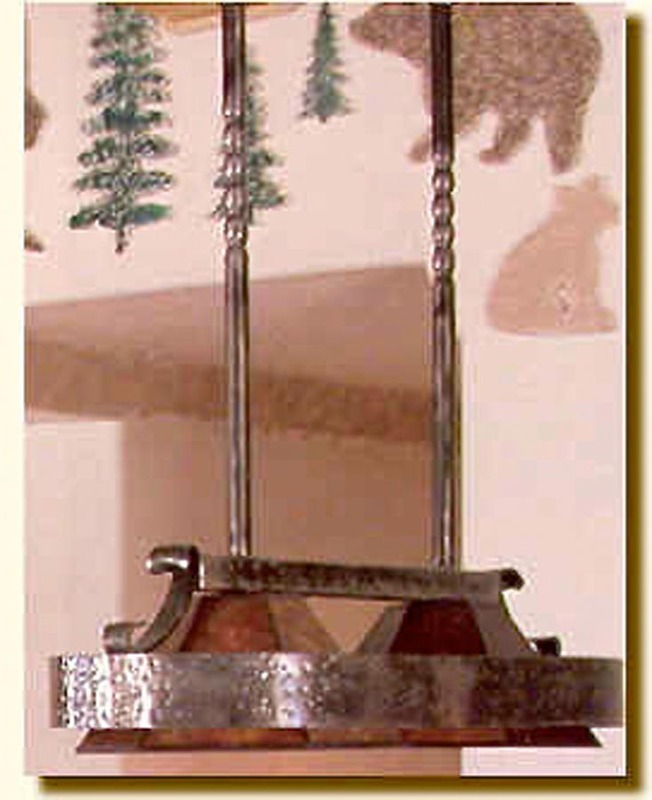 As Shown: Rust patina finish with silver mica. 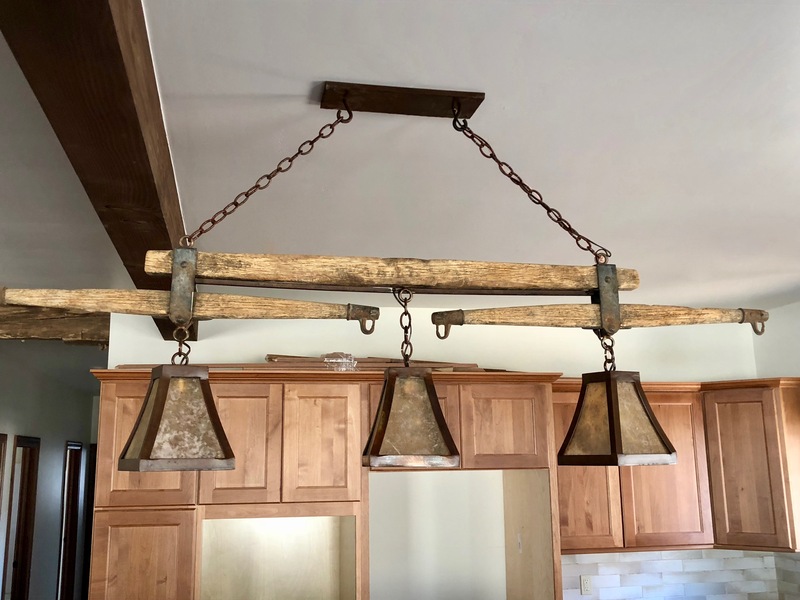 As Shown: Rust patina finish with three rawhide shades.